…Buhari’s sectionalism is also an albatross on its presumed beneficiaries… Without a clear-cut vision and a matching policy articulation on how to turn around the socio-economic hopelessness of Northern Nigeria within an integrated framework of national development, the North will have to pay a heavy price for Buhari’s sectionalism with an extension of the current degenerating state of affairs in the region for another four years. President Muhammadu Buhari has reportedly ascribed his recent victory at the February 23 presidential poll to his good performance in his first term. This declaration was made while receiving in audience, eminently distinguished senior citizens from his home state of Katsina, who constitute the Board of Trustees and Advisory Council of Gidauniyar Jihun Katsina (Katsina State Development Fund). In making this claim, the president didn’t list a few of his tangible and intangible achievements in his four years in government in the lives of Nigerian citizens, beginning with his home State of Katsina but he rather cited the mass of people besieging his campaign rallies as credence of his good performance thus far. If ever there could be the possibility of improved performance from an unprecedented low in the history of the Fourth Republic, in his first term to a modestly appreciable level in his second term, then President Buhari should not be presently allowed to get away with the impression that he was re-elected on the strength of his good performance. Having failed on his three-pronged agenda of revitalising the economy, combating insecurity and tackling corruption, Buhari’s performance thus far is anything but good. Rather than gloat in the euphoria of ecstatic triumphalism, it is imperative for President Buhari to be soberly circumspect on the outcome of the just concluded presidential election, with an open mind to appreciate the grim reality of his pyrrhic victory. A highly divisive figure, President Buhari’s elevation of sectionalism to a near state policy, sharply polarised the nation along regional faultlines, but nevertheless instilled a false sense of triumphalism, thereby setting off a wave of ethno-geographic and religious populism in the Muslim North. In a polity that is largely driven by the primordial sentiments of religion, ethnicity and geography, rather than pragmatic socio-economic competitiveness, elections may not always be a referendum on the performance of governance. Riding to victory on the crest of ethno-geographic and religious populism that swept across the Muslim North of Nigeria, President Buhari’s undisguised misuse of state power to the full advantage of incumbency, as well as massive financial support from a large column of Nigeria’s corrupt political elite and not good performance in whatever form, secured him a second term. A highly divisive figure, President Buhari’s elevation of sectionalism to a near state policy, sharply polarised the nation along regional faultlines, but nevertheless instilled a false sense of triumphalism, thereby setting off a wave of ethno-geographic and religious populism in the Muslim North. This wave of populism reinforced President Buhari’s cult of personality as he attained a god-like status who was regarded as infallible, above board and whose inactions can neither be questioned nor his actions subjected to the constitutional democratic principles of checks and balances. Hiding behind the façade of integrity, President Buhari was the hero of the conservative North in an imaginary war with the rest of Nigeria over the land and resources of the Nigerian state. The loud lamentations of marginalisation from the rest of Nigeria only help to reinforce President Buhari’s popular acceptance in his traditional conservative northern base. In the unfortunate situation of the “we versus them” mentality, which has left Nigeria most divided in the post-civil war era, implies one man’s bitterness is another man’s sweetness. The truth about the fact of the mammoth crowds that besieged his campaign rallies is actually an expression of frenzied triumphalism by mostly uneducated poor people under the strong influence of a sweeping ethno-religious and geographic populism, which is firmly hinged on Buhari’s sectionalism. Otherwise, President Buhari’s poor performance at the presidential polls among educated, urban working class Nigerians in major centres of integrations, such as Abuja, Lagos, Jos and Port Harcourt, is a clear indication of a vote of no confidence on his poor performance in his four years, resulting in a substantial diminishing of the socio-economic conditions of the majority of citizens. Most importantly, the president should be worried about his inability to make appreciable in roads into the South-East and South-South geo-political zones, which is a clear rejection of his sectionalist exclusivity. Implicitly, President Buhari may have won with a wide margin ahead of his closest rival, Atiku Abubakar, his victory is however narrowed to predominantly Muslim Nigeria. Ironically, Northern Nigeria, the traditional political base of President Buhari, is at the extreme receiving end of his inept leadership of the country, despite their massive support for him. Under Buhari’s watch, Northern Nigeria is falling apart under the yoke of a most corrupt political leadership, resulting in increased socio-economic misery and heightened insecurity in the area. Northern Nigeria is one of the poorest regions in the contemporary world, with the added disadvantage of being the most insecure part of the African continent. That Nigeria is rated the poverty capital of the world is courtesy of the extreme mass poverty in Northern Nigeria. Without a programme of action on how to pull the North out of its educational backwardness, while out-of-school children continue to increase under President Buhari’s watch from about 10 million to 14 million, with Bauchi and his home State of Katsina topping the list of the worst hit locations. As the Boko Haram insurgency rages uncontrollably in the North-East, whilst cross border banditry ravages the North-West and the menace of killer herdsmen continues to pillage the North-Central, Nigeria has easily gained notoriety as the world’s third most terrorised country after war-torn Afghanistan and Iraq. As a matter of fact, the leader of the visiting delegation to whom the president was reported to have made the startling claim of electoral victory as a result of good performance in his first term, the retired eminent jurist, Justice Mamman Nasir, was a recent victim of cross border banditry, which has spread unchecked into Katsina, the home state of President Buhari. While Justice Nasir, who is now the district head of Malumfashi narrowly escaped being kidnapped by armed bandits a few kilometres from the state capital, his orderly and driver were not as lucky, as they were abducted for ransom. The state of insecurity in Northern Nigeria has taking a worse turn, extending to about 100 kilometres from Abuja, the nation’s capital, as bandits now freely lay siege on the highways, abducting and killing several defenceless citizens. 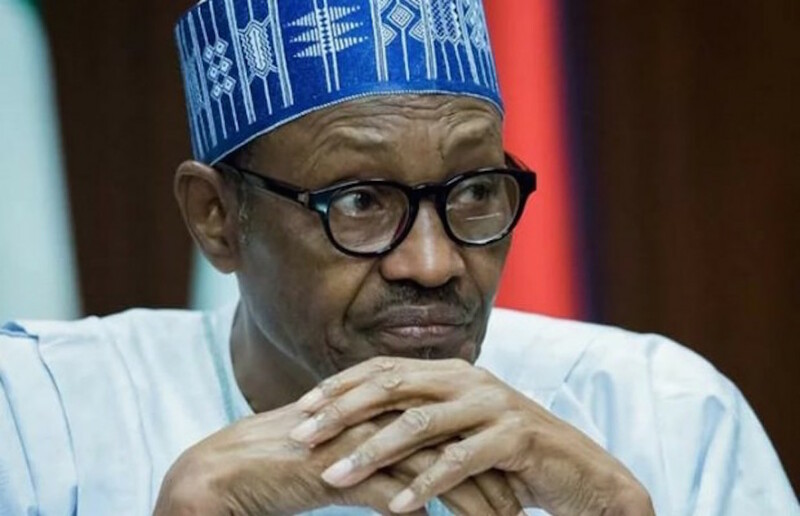 With President Buhari’s federal government appearing helpless, residents of his home region of the North West, out of hopelessness, have resorted to self-help by engaging the services of charms and amulets to resist the bullets of bandits. President Buhari’s sectionalism is immoral, unethical, divisive and illegal, as it violates the spirit and intent behind the principles of justice, fairness and equity, as enshrined in the Constitution of the Federal Republic of Nigeria. Interestingly, Buhari’s sectionalism is also an albatross on its presumed beneficiaries. As no section of Nigeria can be developed in isolation of the other, Buhari’s sectionalism has only achieved the purpose of enriching a few families and friends in the corridor of power. It has not impacted positively on the generality of the people of Northern Nigeria. Therefore, if the North took the rest of Nigeria for granted by insisting on foisting its worst in place of its best on the Nigerian federation in the last presidential election, then President Buhari is set to take the North’s consistent support for granted by insisting on his worse performance in his first four years, as the best thing to ever happen to Nigeria. Without a clear cut vision and a matching policy articulation on how to turn around the socio-economic hopelessness of Northern Nigeria within an integrated framework of national development, the North will have to pay a heavy price for Buhari’s sectionalism with an extension of the current degenerating state of affairs in the region for another four years.